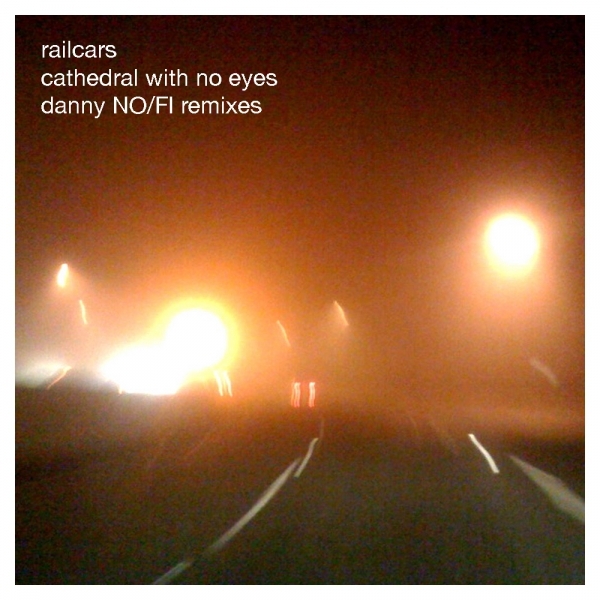 The second release by Railcars, Cathedral With No Eyes, gets a proper remix treatment by LA's very own Danny NO/FI. You might recall that the construct of CWNE is such that it plays like one long track, with sounds and themes bleeding into each other throughout the album. This collection of remixes tackles the album in a similar fashion, resulting in a 16 minute remix. The remix is broken into 4 Parts (A-D) for the first 4 tracks while the full version (complete with interludes and transitions) is provided as the fifth track. Download all files as a zipped folder here.